Media Molecule had announced that Dreams’ anticipated PlayStation VR support would not be available until after launch, but a round of previews released today has hinted that virtual reality functionality will be included from day one. PSU got the scoop, but the British developer retweeted the site’s story, so that seems like a lock to us. We have followed up with the studio to see if we can get any firm confirmation straight from the horse’s mouth, and we’ll let you know if we hear anything back. 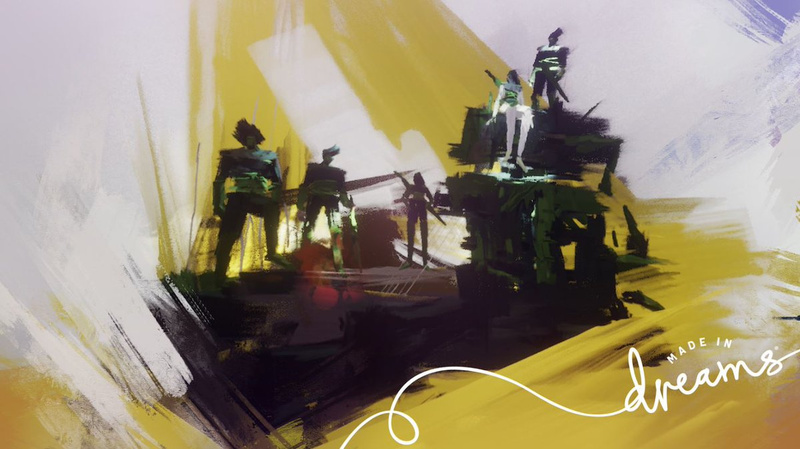 The game itself is sounding absolutely incredible, with a frankly unprecedented feature-set that spans everything from character modelling to composing. Beta announcement soon, yeah? Great news. They're going to have to pick my brain up with an ice cream scoop once I'm done. @AFCC Sounds very close now. They've basically built a consumer friendly game engine, and then built a game inside that engine, so let's cut them a little bit of slack. I never really got into creating things in LBP, hopefully PSVR/Move will streamline the process into something I can enjoy both playing and building. I’m going to make a good Zelda game in Dreams 😏 . Seriously though...I’m not the most creative, but I’m going to try get good at this. Curious how VR will work in the game. Can't wait. @get2sammyb it's amazing that they did that (used their own framework, which Dreams is, to build the single player experience to showcase the framework). It shows "out of this world" commitment, trust and conviction. I will be pre-ordering this, this, well, everything. @get2sammyb They can take the time...but some date would be cool! How long ago was it announced? With VR? Day freaking one. I have always wanted to make my own Metroidvania game and I might just try it. Obviously I'd get bored and the level design will just be two levels with a door between them but at least I can say I've done it. Glorious news, VR could do absolute wonders for a game like this. Well I'm going to try to remake Rescue on Fractalus in VR then! @AFCC They sort of announced it 5 years and 3 months ago at the PS4 launch in NYC. It wasn't called "Dreams" back then but the guy kept saying the word dreams over and over again. So, the good news is, PSVR at launch, the bad news, at the rate they're going it will turn out to be a PS5 exclusive. PS4's lineup keeps getting better and better. The day this game gets released will finally be the day I purchase a PSVR. Hopefully there'll be a bundle promotion available. Can't wait! Awesome news. Doubt I'll be able to make that much but looking forward to trying. And I'm sure we'll get some really good user created content. Especially looking forward to some decent user created VR stuff. This may tip me over the edge to getting one of these headsets. Good call making it VR at launch. It sounds good but I'm still not sure it's going to do well. It's one thing to give complete creative control to users, but it's getting users who will take advantage of that control. Six months down the line, are people still going to spend tens of hours at a time making these experiences? Even more important, will we have a glut of UPVOTE THIS LEVEL PLZ 4 FREE PSN CODES or spam levels made in 10 mins by some kid trying to pimp out his Instagram? This has potential, but it has an awful lot of the wrong kind of potential. Hey Sammy, any idea if Dreams will let you export a created music track/tune to an external drive/usb, to then possibly burn onto a cd to be listened to, independent of the Dreams software? @get2sammyb do you think this going to be a 'budget' release ? Like I still get the feeling nobody really cares about this game . Can’t wait for Dreams and this is huge news. @Futureshark don't forget the jaggi! @Clutch_Nixon LittleBigPlanet still has a dedicated creator community even now. And I always thought Media Molecule were pretty good at floating the good stuff to the top, particularly in LBP2. @oatmealwarrior92 It's not going to be a budget release. I'm not sure why you'd expect that — it's still AAA title even if it's not following the "standard" formula. @jacobia I honestly don't know, but it wouldn't surprise me if you could. 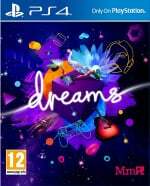 I've been really looking forward to Dreams, but I'm really concerned about its longevity. Sony needs to get this into the public's hands via a free demo or something. These media hands-on impressions don't do justice to how cool this game is at all.